The Duchess of Cornwall, Camilla Parker Bowles, wore a stunning Moroccan Caftan to a grand event hosted by her husband Prince Charles at the Buckingham Palace on Tuesday. During the dinner hosted for the British Asian Trust, the Duchess greeted her guests while wearing the sparkly Caftan. 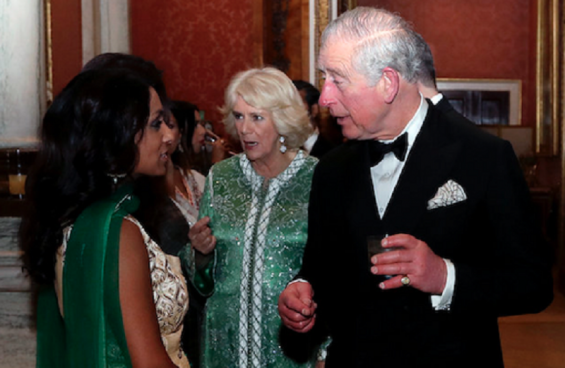 Last night, The Prince of Wales, accompanied by The Duchess of Cornwall, hosted a reception and dinner at Buckingham Palace for supporters of @britishasiantst. 71-year-old Camilla paired the green Moroccan gown with «delicate drop earrings by Cleef Van & Arpels and her trademark blonde hair», wrote Hello! magazine. For the record, Camilla and Prince Charles tied the knot in 2005 in a civil ceremony at Windsor Guildhall.